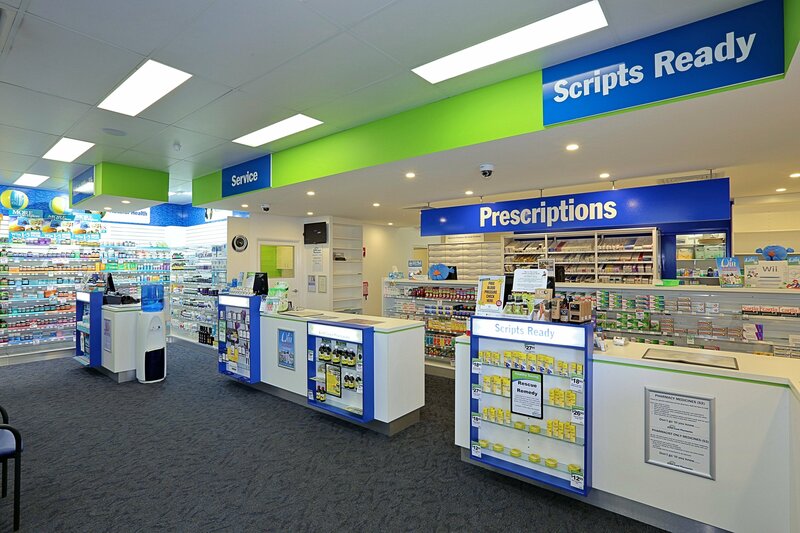 As a specialist designer and shop-fitting company for the pharmacy and medical sector across Australia, I would like to share with you what we see working well to maximise foot traffic and sales in retail pharmacies. How competitive is the location? Are you anchored by a medical centre or hospital? How visible is your store? What is the volume of foot traffic and is this guaranteed in the long term? Ie. what lease arrangements are in place with major shopping destinations such as Woolworths or Coles? What are the ages and stages of the people who live within 5km of your store? What is their capacity to spend? Do they want scripts only, advice or services? Have you spoken with local GPs to understand the type of medical conditions in the area? Have you talked to other retailers, allied health professionals or your local medical association to understand the profile of your area? Do you need a ‘hole in the wall’ script dispensary, large store with multiple services and zones, a franchise outlet, an independent family store or a budget store? What will work best in your local area? What is the most profitable model for you? What functionality does your store require? How much access will your pharmacists have with your customers? How quickly will you be able to dispense medication? What other services / advice can you offer? What will create repeat purchase and visits to the store? What convenience products can you offer to increase the value of each transaction? And an emerging fourth trend … pharmacies of different shapes and sizes experimenting with convenience products. Independent banners are being set up by pharmacists who want to own and operate their own business. They are finding that multiple stores can create buying power and increase the margins of retail products. This is especially relevant when stores are closely located. Community health hubs are generating strong customer loyalty and repeat purchase by offering professional services relevant to their local demographic. From baby weighing to medication and health checks, customers value the free access to health professionals which creates a ‘reason to visit’. These services also help to protect stores from competitors including supermarkets. Script-only stores work well in high traffic areas. They are easy to enter, small, attractive sites with compact design and efficient storage systems. Busy customers can speak with a pharmacist and pick up a script quickly. Social media is proving to be a popular marketing strategy for these stores. Convenience products are responding to consumer demand for ‘more products from fewer locations’ and increasing the competitiveness of pharmacies against supermarkets. Consumers are buying less more often and these retail outlets are capitalising on the ‘one stop shop’ opportunity by offering products often found in service stations. “Our new Pharmacy is brilliant and our retail sales have increased by 73%,” Coral Coast Pharmacies. PreviousPrevious post:Opening NightNextNext post:JBM Projects Refurbishes Duxton Hotel Perth in Record Six Weeks!